“See with the eyes of love and a thing becomes beautiful. 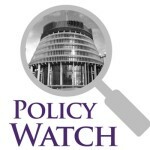 Welcome to the latest Policy Watch e-letter highlighting the latest news, research and policy developments relevant to NZCCSS’ core mission to work for a just and compassionate society in Aotearoa New Zealand. We write this edition of the newsletter still reeling from the unimaginable events in Christchurch four weeks ago. It is hard to move forward but we must and as part of this process we need to continue to identify the conditions which enabled such hatred towards a faith group at a time of peace and worship to happen. Later in this newsletter, we will overview the government’s key responses to this tragedy. Taxing Capital Gains and other Tax Changes For More Fairness and Equality – Fairness and greater equality in our tax system are key reasons why the government needs to get on and introduce a capital gains tax. That is the lead message from the campaign launched by Tax Justice Aotearoa on Monday 8th April. NZCCSS supports this message that aligns with the messages from our comment and submissions to the Tax Working Group that presented its report in February. The Government is considering its response to the report recommendations, that include extending the taxation of income from capital gains. The coming weeks are a good time for people to show support for action on taxing capital gains and other steps to bring more tax fairness by signing the online petition and contacting MPs to ask them to support taxing capital gains. Interest Rate Cap Needed to Stop Loan Sharks – FinCap is the national organisation representing budgeting services around the country and they are calling on the Government to include a cap on interest rates in the new credit laws that are coming into Parliament. This is something NZCCSS supports strongly and signing the petition is one way you can help. Superannuation, Veteran Pensions, Minimum Wage and the Living Wage increase – 1 April 2019 saw Superannuation and Veteran’s Pensions increase by 2.6%, and the minimum wage increase by $2.10 to $17.70 an hour, as part of the Coalition government’s focus on growing the economy and improving the wellbeing of New Zealanders. 1 April 2019 also saw the announcement the New Zealand Living Wage for 2019/20 will increase by 60 cents to $21.15. This increase will come into effect on 1 September 2019. These are small but important first steps towards ensuring people have sufficient household income to provide for the basic necessities of life. Child Poverty – The Statistics New Zealand release of the baseline statistics of child poverty in New Zealand is welcomed by NZCCSS. This will provide for the measuring of future progress in the reduction of poverty for our children and their families and whānau. We have the numbers now we need the action! CPAG also welcomes the data but has reminded government to urgently respond to children living under the 40% after housing line to make their lives better now! CPAG is looking to the Welfare Expert Advisory Group for their recommendations to improve these children’s lives. Charities Act Review – The Minister for the Community and Voluntary Sector, Hon Peeni Henare, has announced an extension to the deadline for submissions on Modernising the Charities Act 2005. Consultation is now open until 31 MAY 2019. 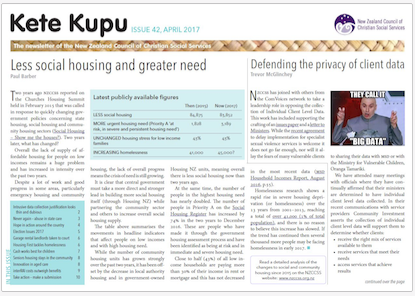 A key message from Hui E! Community Aotearoa that is gaining support is that the Charities Act Review should be referred to the Law Commission instead for a more considered, wide-ranging and independent review. Failing that, Garth Nowland-Foreman provides some useful tips for a submission on each of the topic areas under review Read the blog here. Law to make tax more straightforward for New Zealanders – New laws passed in March 2019 mean immediate changes to make the income tax process for most individuals more straightforward. These changes apply from 1 April 2019 and to the end-of-year processes for the tax year 1 April 2018-31 March 2019. This is important information and the IRD have sent us a information to share and you can also go straight to the IRD Changing For You webpage and PayDay filing webpage. Community Service and iwi/Māori – The New Zealand Council of Christian Social Services, in association with VisionWest, is hosting a hui for members and other interested community social service organisations to consider how to best work alongside Iwi/Māori. This hui will also consider Section 7AA of Child Youth and Family (Oranga Tamariki) Legislation Act and discuss how community organisations can best respond. Date: 22nd May 2019. Venue: VisionWest, 97 Glendale Rd, Glen Eden, Auckland. More information on this event will be available on NZCCSS facebook page shortly. 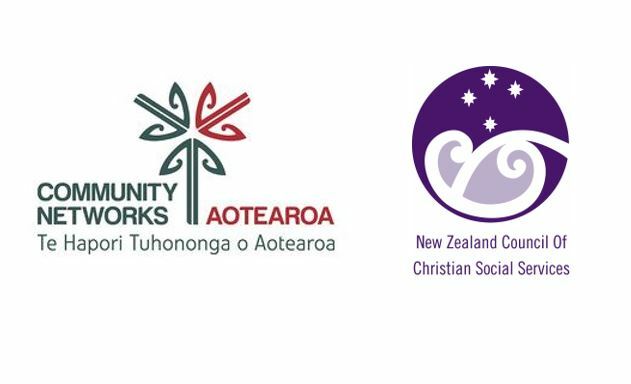 2019 Community Networks Aotearoa and NZ Council of Christian Social Services Joint Conference – Tātou tātou e! 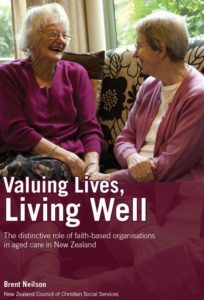 : The value of relationships and building wellbeing is the theme of the joint conference to be held on 27th and 28th August 2019 in Wellington. The conference website is now online so check it out and book in the dates. Government’s response to the Christchurch mosque – An overview of key Government actions since the terrorist attack in Christchurch. NZCCSS commends the Coalition Government for its swift action to ban semi-automatic weapons and military style semi-automatics, parts, magazines and ammunition which can make a gun. The Arms (Prohibited Firearms, Magazines and Parts) Amendment Bill has passed its final reading in Parliament and is expected to be introduced by the end of next week under urgency. The Prime Minister has announced a Royal Commission of Inquiry into security agencies to look at what could have been done to prevent the attack. This inquiry is expected to be broad reaching. The role of social media platforms to circulate hate speech is also under scrutiny by the government, alongside a call for a global, co-ordinated response to hate speech in social media around the world. This is not before time. Reining in Facebook is proving more difficult. For the majority the live streaming of human terror is against all common decency, but not so for Facebook. The Privacy Commissioner, John Edwards, finds despite promises Facebook has made no noticeable change to its live streaming platform, suggesting all business profit and no care! Light may be found in Justice Minister Simon Power’s review of the “wild west” of the internet, which will see the Law Commission consider the ‘adequacy of regulations around how the internet interacts with the justice system “. Again this is a timely and much needed review. There is also a rising concern for children and youth subjected to unregulated content (and for longer thanks to inbuilt algorithams). As adults, we have a responsibility to protect our children from harm and to support values which support the broader societal conditions needed for peace, human dignity, and harmony.